The KU36 is a sports car tyre. 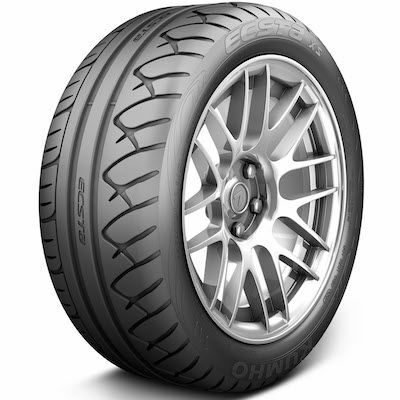 The Kumho Ecsta XS KU36 is made of state-of-the-art material and provides maximum grip on dry roads. The asymmetric tread design made of a silica based compound combines with the latest street racing technology for supreme handling performance and a quiet, comfortable ride. This design also means the KU36 offers great steering response and traction in wet conditions. This is because the KU36 lateral grooves ensure heightened hydroplaning resistance while the rib and shoulder block combination improve wear life and directional stability.